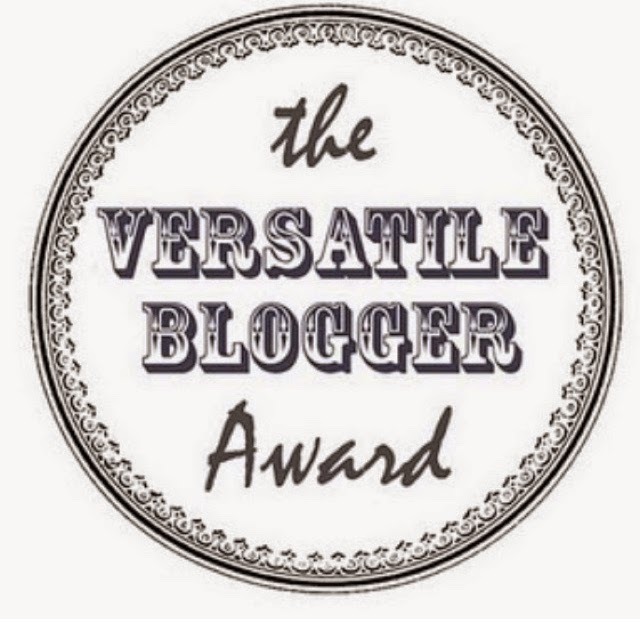 The Versatile Blogger Award | The Red Brunette. Hi guys! So last Saturday I was nominated by the lovely Laura from lace on lipstick for the versatile blogger award. Basically what you have to do is post seven facts about yourself and then nominate a fellow blogger to do the same, so let's get started. 1. Lush is slowly but surely taking over my bathroom. The staff in my local Lush shop know me at this stage. The day I walk out of Lush empty handed will be the day that pigs fly. Being a skincare addict Lush is heaven to me their skincare is fabulous and everything smells amazing. This is pretty self explanatory I love to bake! It really relaxes me and I enjoy doing it. I love trying out new recipes and experimenting and I think my family love me for all the baked goods around the house. 3. I'm starting to really love photography. I never used love photography but I'm definitely getting into it. I love having my phone with me at all times to snap some pics when I'm on my travels. Instagram is definitely helping my new obsession! 4. I have quiche everyday for lunch. I adore quiche. It's so fabulous. It fills me up and is so yummy! So yes I spend my Sundays making quiche for the week. My friend mocks me for having quiche everyday but who cares quiche is my bae. I know that sounds so cheesy but it's true. I play the viola and oboe and all of my closest friends I know through music. I love listening to it and playing it and music can really change my mood completely. 6. Sometimes I prefer no makeup to makeup. I know, I know what you're thinking a blogger who doesn't like makeup. I really do enjoy makeup, I love experimenting with it and it can give me more confidence at times but sometimes I do prefer my skin without makeup. Makeup can look really harsh on my skin because I'm so fair with a good sprinkling of freckles so sometimes I do prefer no makeup. 7. I live in my Jamie ripped jeans. They're just so comfy! I wear them the whole time but they are honestly the comfiest things I own. They go with absolutely everything in my wardrobe which is very handy. They are so worth the money, I highly recommend them. I hope ye enjoyed this post. Thanks again Laura for nominating me. Yaay! I must admit I made a quiche for my lunch after having a stalk of your blog, best decision ever! I apologize for being the start to a new addiction! !